I will preface this by stating that I am a big Miyazaki Hayao fan like Jemmy, but don't feel like I have his expertise in the field despite taking a class on Japanese Animation at The University of Texas back in the day. I don't feel the need to produce a new plot summary as I doubt I would be able to craft one as elegant and complete as Jemmy did here. My top five Miyazki films are My Neighbor Totoro, Princess Mononoke, Nausicaa in the Valley of the Wind, Spirited Away, and Ponyo. I will start by saying that I fully agree that Miyazaki created a beautiful world in Princess Mononoke, but I will take that a step farther and say that I think this may be the most beautiful animated movie of our generation. The color palate that Miyazaki uses throughout this film is so rich and deep in a way that CGI has yet to capture. According to the Disney site (who owns the U.S. rights to Studio Ghibli films), Miyazaki saw the redraw of over 80,000 cells and the attention to detail shows. To me the sheer beauty of this film distinguish it from almost all other animated movies. I must also concur that the complexity of characters is a huge strength of Mononoke, but disagree that San being one-dimensional was a flaw. As Jemmy stated, both Ashitaka and Eboshi are two very complex and fantastic characters. I have never enjoyed a movie that lives in the gray as much as Mononoke. No character is truly good and no character is truly evil. To me it speaks to a changing world and examines the positive and negative that are associated with that. As to San, I personally feel that the fact that she is one dimensional and has an internal struggle that she doesn't realize, makes her more believable. She was raised by wolves and now has the world that she once new and loved challenged to its core. Her animal like reaction to what is thrust at her, in my opinion, adds to the movie and adds an element of realism to this fantastical tale. 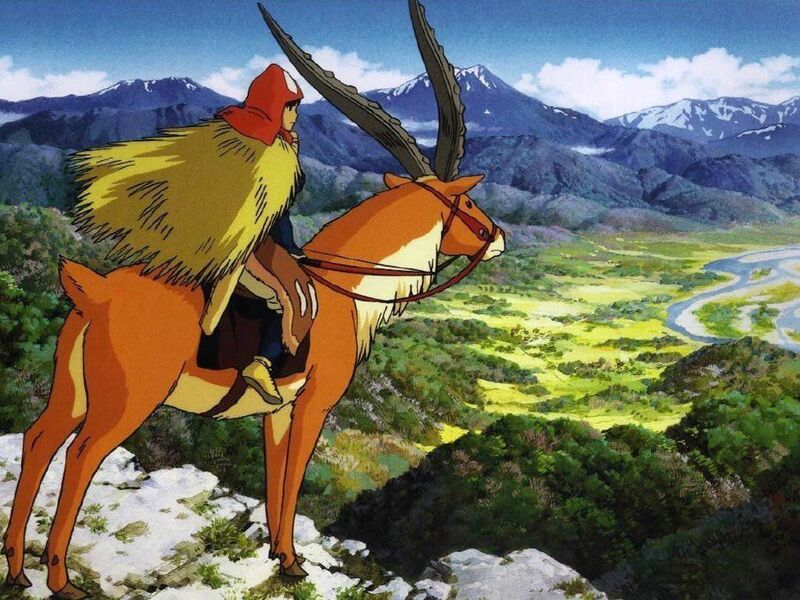 I will concede that Mononoke is not as subtle as Nausicaa, but I have no issue with this. To me this is merely the context of when the movies were made. A lot changed between 1984 and 1997 and Miyazaki was able to overtly state his message in a way that may not have been accepted in 1984. 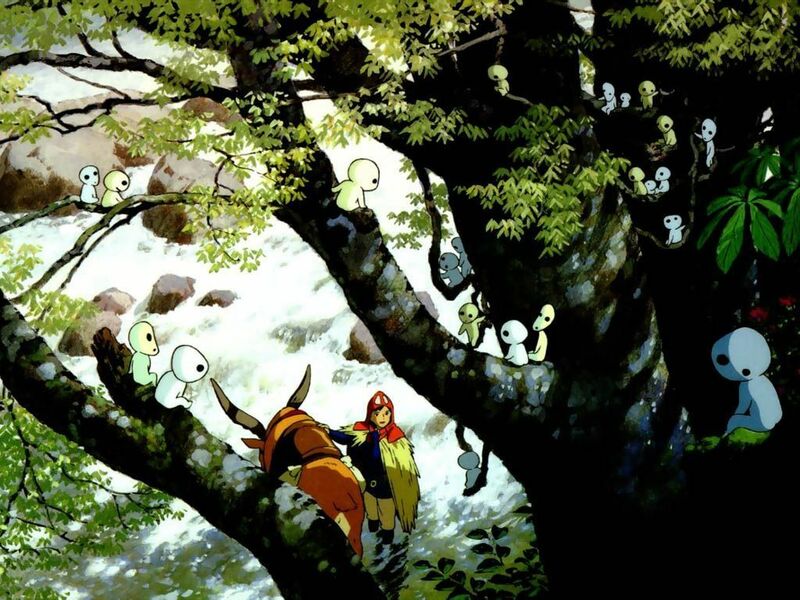 Princess Mononoke remains that film that I use as a gateway to Miyazaki with friends (unless it is fellow parents of children like myself as it is quite violent) and has a very special spot in my heart. My only criticism with the film is the fact that I couldn't get over Minnie Driver's British accent in the U.S. dub. Stick with the original audio. Bonuses: +1 for its sheer beauty. +1 for its strong female characters. Penalties: -1 for Minnie Driver in the U.S. dub. -1 for its over-the-top violence which limits its audience.